It has been a hectic weekend and I'm thankful that it's Monday again. With my 9 year old in school, I can have a bit of "me" time. For this week's challenge, the theme is Summer song! And almost instantly I started humming I Get Around by the Beach Boys. So is this song considered a summer song? Wryn Scooting By is one of my favourite image from Tiddly Inks! Look how cute she looks riding on the scooter with her little friend right on the back seat! Oh, in case you didn't realized, I've put her up on a pop-up card! And here is the front of the pop-up card. I thought it looked boring to be left plain and so I decided to spice things up just a little. The cute bunting banner is stamped using Avery Elle Bunting clear stamp set and the word hello is cut using my Silhouette Cameo. 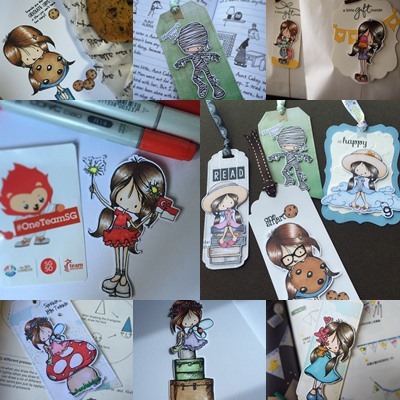 And since this post is all about Wryn and Tiddly Inks, I just want to share on my blog the cards, coloured images and book marks that I've done before I started my blog. I really love colouring images of Wryn and her friends, all thanks to Christy for all the wonderful illustrations! Ok, that's for all now. Have a great Monday and I hope I will have time again this week for another post on my blog. I'm glad my card made you smile Janine! 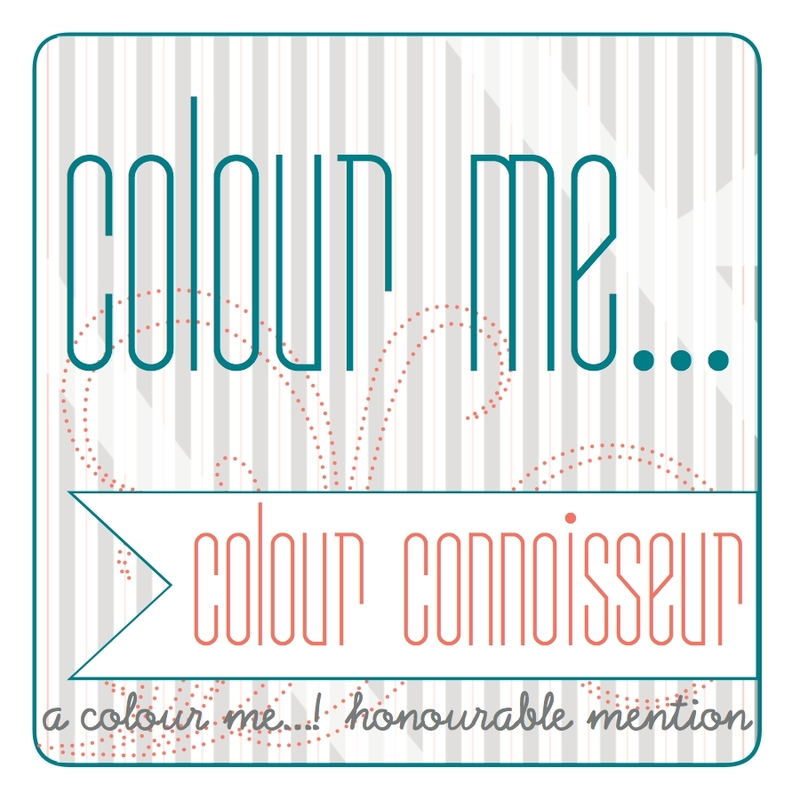 (: Thank you for coming by my blog and leaving an encouraging comment! What an adorable card! I love that it's a pop up and the scene you created is super cute. 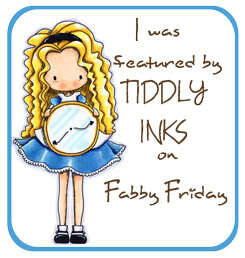 Thanks for joining us at Tiddly Inks. P.S. So happy to see that you're enjoying lots of Tiddly Inks images! Your creations are lovely. Thank you JanR for the encouraging comments (: I'm looking forward to more of Tiddly Inks challenges and new images... They are so much fun! Congrats !! Such cute cards ! The new card is gorgeous!!!! Such a neat idea to make a pop-up card for this image! And I love the front, too. Thank you so much for joining us over at Tiddly Inks!